The success of The Salon at our Rancho Santa Margarita location is largely due to our talented and experienced stylists. We understand that it takes years of training, practice and dedication to create the perfect hair cut, style and color for each of our guests, which is why our stylists are certified and trained in the most up-to-date treatments, styles, and procedures. Call 949-858-9455 to schedule your appointment today! There is no end to the ways the perfect color will enhance your personal style, strengthen your features, and compliment your skin tone. Our technicians will use the latest color techniques to create a look best suited to you. If for any reason you are not satisfied with our color and/or hair cutting services, please contact our manager to schedule a complimentary consultation with one of our stylists within 24 hours. We will be happy to schedule a correction within a week maximum from your original appointment date and address any concerns you may have. Click here to contact our RSM manager or Call 949.858.9455. Hair and chemical services may vary according to individual stylist, coloring techniques or length of hair. 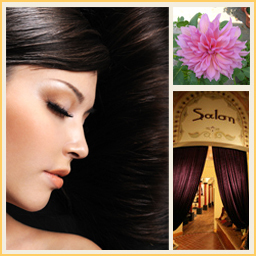 Gift Certificates for the Rancho Santa Margarita Salon are available for any of our salon services or products. You may purchase services individually, or we will help you create the perfect package.